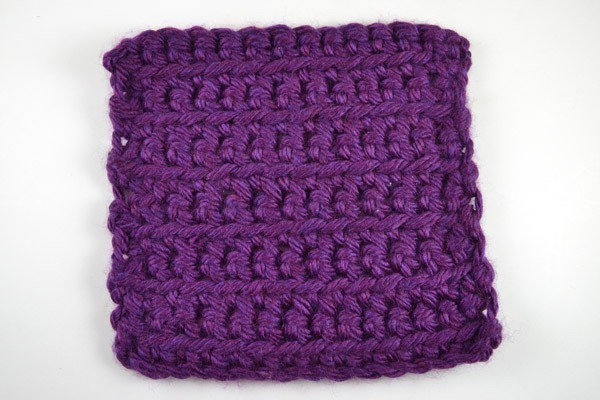 When I was young and fairly new to crochet I used to get quite upset… why would my square things not look like squares? 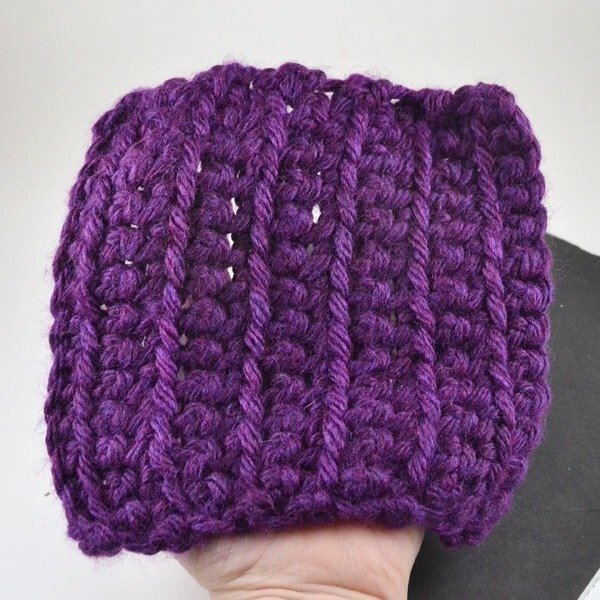 I would count my stitches and be really proud that I was keeping the same gauge, so why was it all warped and crazy looking? This just didn’t make sense! 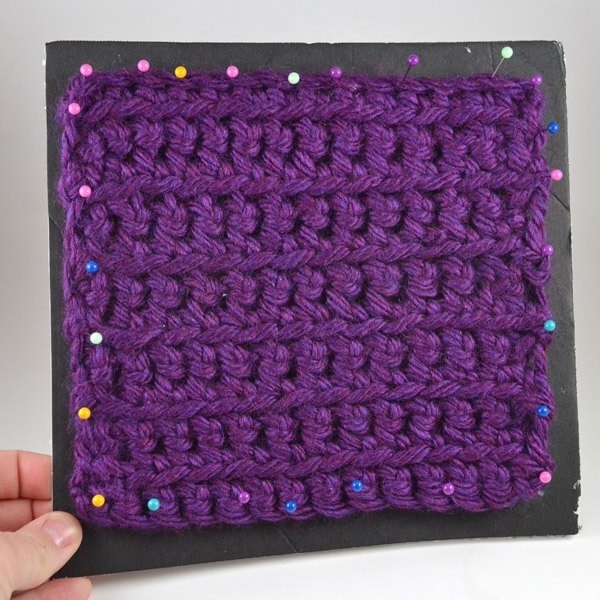 So when I heard about blocking, I knew this was a problem for a lot of crocheters out there. And I’ve got to tell you, blocking a piece makes all the difference in the world. So here’s my piece. You can tell that this sucker is stupidly NOT square. Grab some foam to use as your backing. I use foam core from the store, or my mattress for larger items. you can also buy those play mats that are colorful and look like puzzles. Take your piece and either run it under the sink and extremely gently wring the water out, or grab a spray bottle of water to use after you get this sucker squared up (this works better for big things like afghans). 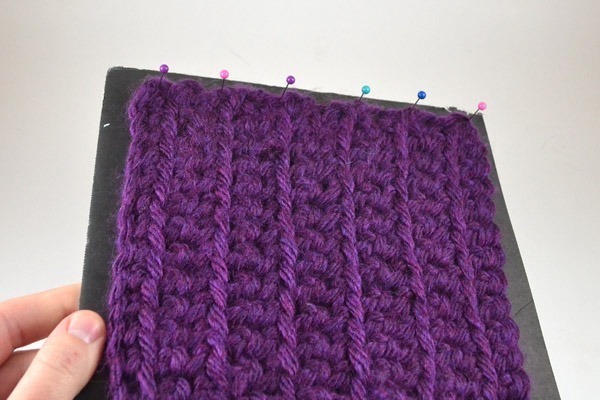 Grab your pins and first straighten and pin one side. Continue around the piece straightening each side. Now can you see how jacked up my edge got, right? 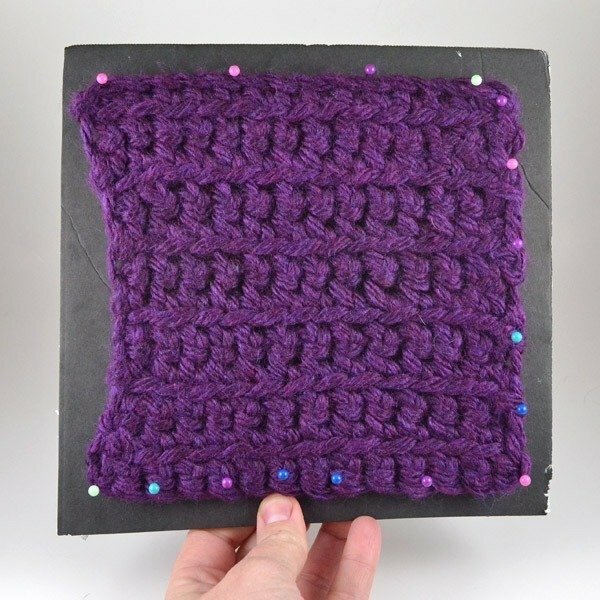 You may need to finagle with the corners a bit once you’re finished, but it should look nice and square while pinned down. Again, you might need to play with it a bit to get it square. I tend to turn and turn and turn until I’ve seen all sides to see if they looked straight. See the bottom here? It needs some attention. (if you’re using the spray bottle, you can get after it now dampening but not soaking the piece). Place somewhere and wait until it has dried. And you might want to put it out of your cat’s reach. I woke up to a horrible shriek to find my piece on the floor and two pins stuck in Liddy’s face. I fareeked out and didn’t even think to fix my blocked piece so in the end it isn’t perfectly square but what can you do? Remove the pins and you’re done! This isn’t the most stellar blocking job I’ve ever done, but it’ at least gets the basics across to you. 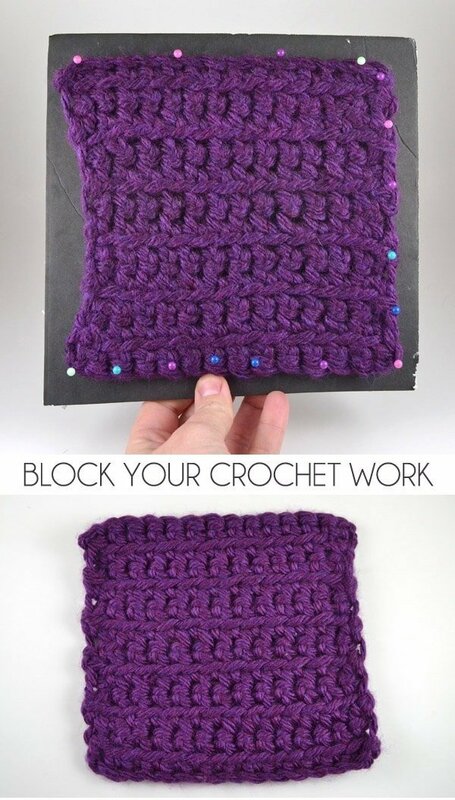 It’s really easy and cheap to do and it will improve your crocheted pieces so much you’ll wonder why you haven’t been doing this all along! thank you for your tutorials ! They really helped! This is great I will have to try it! Great info! But I have a question, do you wash it first and while damp block it? Or block it first and then wash it? My dogs like to sit by me while I crochet. 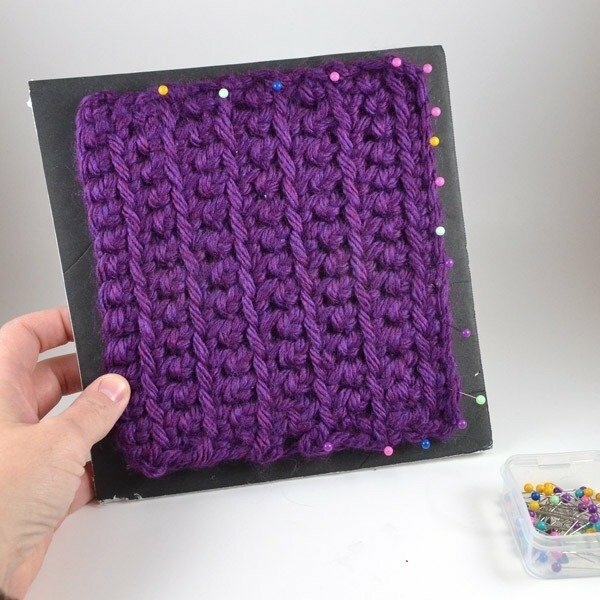 Hello: Great tutorial and you make it easy. . I always wondered what blocking was when I heard knitters getting their knickers in knots about their finished pieces being askew. By the way, you are very funny! Thanks. Thanks for this I am going to try it seems easy enough. I do all my afghans in the afghan stitch. The problem I have is both ends curling up. I block with water but it takes forever and sometimes still wants to curl. Any other suggestions???????? To be honest I don’t have much but I did know that when I worked with a looser hand I could sometimes avoid the curl so badly. But inevitably I get back to my normal level of tautness and then my work is weird because it’s loose in the beginning and gets tighter and tighter :) It sounds like blocking is your best bet. 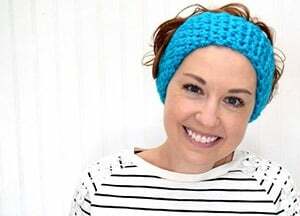 Sorry I couldn’t be more help but one of the most fab crocheting bloggers out there is Alexis over at Persia Lou. She might know just the thing! What happens if your work needs washed later down the road, will you have to block again? I have had an occasion where an afghan I stitched very tightly went a bit wonky after washing but that’s the only instance I’ve had a problem with. I try to keep my blocked pieces from being washed for a few weeks so I put them on display but don’t actually use them for at least a little while. It may only help in my mind, though!